And before you ask, yes, there will be a pattern (and quite soon too, but I want to knit a few more first). But I want to talk about something for a minute. This is a little scary, but here goes. And those are always a bummer to read! But I get so much more good feedback from folks who love making stuff like this that I didn’t want to let the angry stuff win out. So, I’m going to take a minute to break those down, one by one. Let’s start with ‘that’s so simple, it’s ridiculous to have a pattern.’ I feel that way myself sometimes. But when I posted a picture of these over on instagram, I had person after person after person asking me to write a pattern. Seriously, go read the comments on this instagram post (be sure you click through to see all of them, there are more than 200). People are saying, clearly and directly, that they’d like a pattern. So it seems like maybe what seems simple to some folks isn’t as clear to other folks. So, just because you wouldn’t need a pattern to make something, doesn’t mean everyone feels that way. And if you feel that way, that’s fine! But all it means is that the pattern isn’t for you, not that it shouldn’t exist for the folks who do want it. Next up, ‘that pattern is too simple to charge for.’ So here’s the thing. This is my job, and I charge for my work. And writing a pattern like this is work. When I make a pattern like this, especially a pattern for something simple, I make it ridiculously detailed. 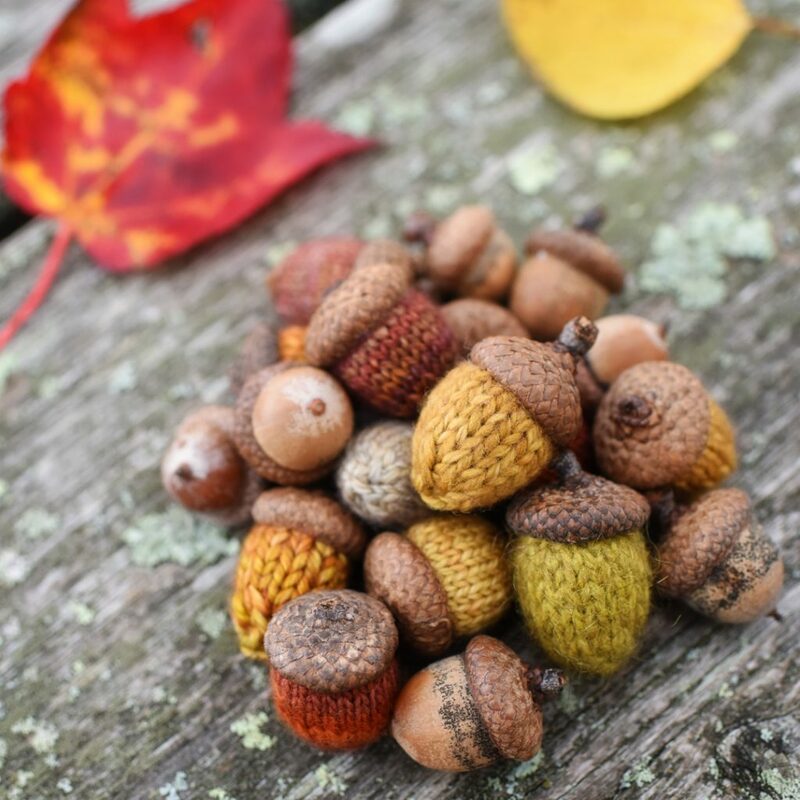 This one, for example, will have pages of step by step photos and will include info on everything from how to cast on to when and how to weave in your ends to how to stuff them and what to stuff them with to how to find and attach the acorn caps. That’s because if you look at this picture and and think ‘yeah, I could totally use a pattern to help me make those’ (rather than ‘I could make those without a pattern’), you probably want a lot of detail to help you feel confident in making them. And writing a pattern with that level of detail takes a lot of work. I’ll spend this whole week creating, editing, releasing this pattern (and then more time after that supporting it). It’s ok for me to get paid for my work. And finally, ‘someone made something sort of similar and didn’t charge for it.’ That’s probably true! I am certainly not the first person to knit anything, and would never ever ever claim to be. 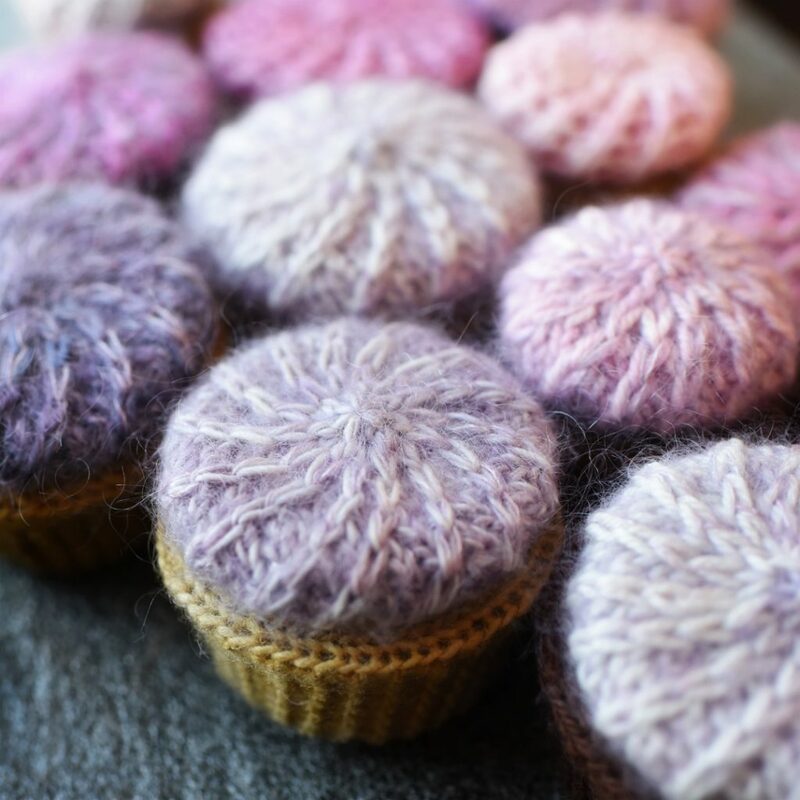 And the internet and ravelry make it really easy to write something up and share it for free (as of this writing, there more than one hundred and twenty thousand free patterns on ravelry). And if you want to use one of those patterns, you totally should! 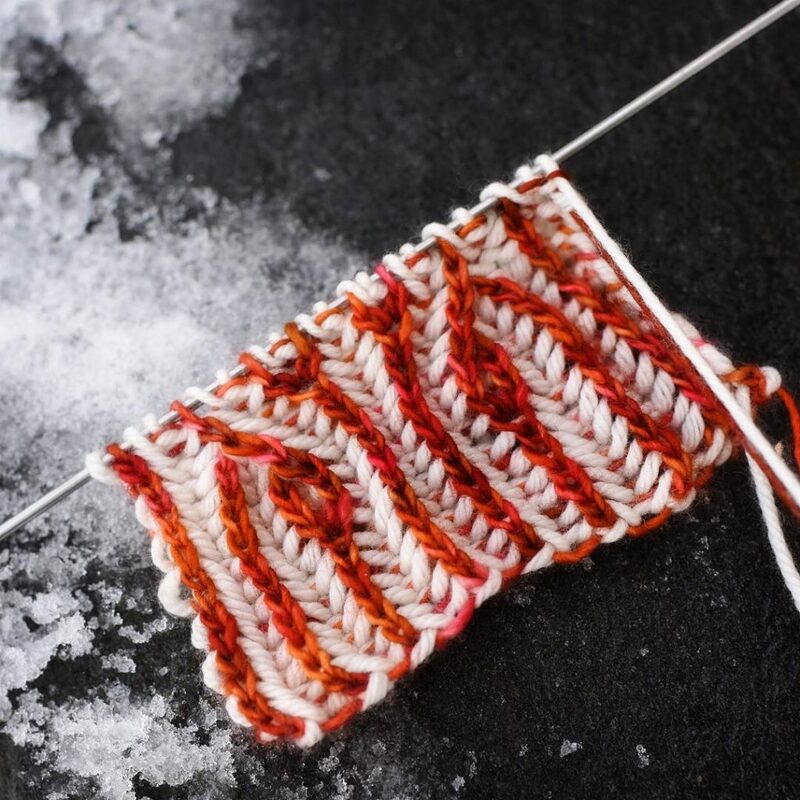 But, if someone else wants to use my pattern, either because they like my style or want that level of detail, that’s ok too (just like how it’s ok if someone else needs a pattern to make something you can make without one). There’s room for everyone! Ok, all that sounded kind of grim for a moment. But as frustrating as they are in the moment, those tiny handful of angry messages are so far outweighed by the folks who write to say they love what they’ve made and had a great time doing it that I’m not going to let them stop me from making things that make me (or you!) happy. 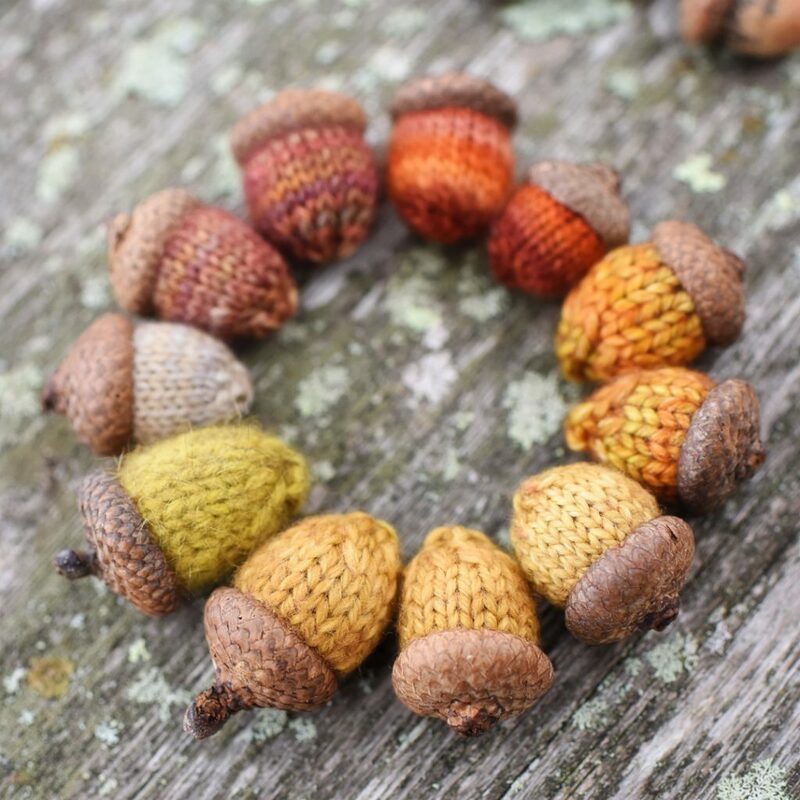 So…go…start gathering up acorn caps (amazon and etsy both have them if you don’t want to find your own). And keep an eye out, because I suspect I’m going to sneak this pattern out in the next day or two (so you’ll have plenty of time to make and enjoy them while it’s still fall). Every once in a while I get a string of comments in quick succession, and the cumulative effect of them leaves me feeling a bit cranky. I’m sure this makes me a big meany pants. But I am a big meany pants with my very own handy dandy website, so I can actually take a moment and write about two of these kinds of comments all at once and then point people here if they come up again. So without further ado, two things I will not do for you (even if you call me names). Put the pattern out before I’m ready: If I post a picture of something I’m working on, and you like it, that’s fantastic. I totally want you to like what I make and be excited to make it for yourself. That is absolutely lovely, and I very much appreciate it. The truth is I have my releases planned out about a year in advance. In order to keep up the pace I’ve set, I have to have a schedule. 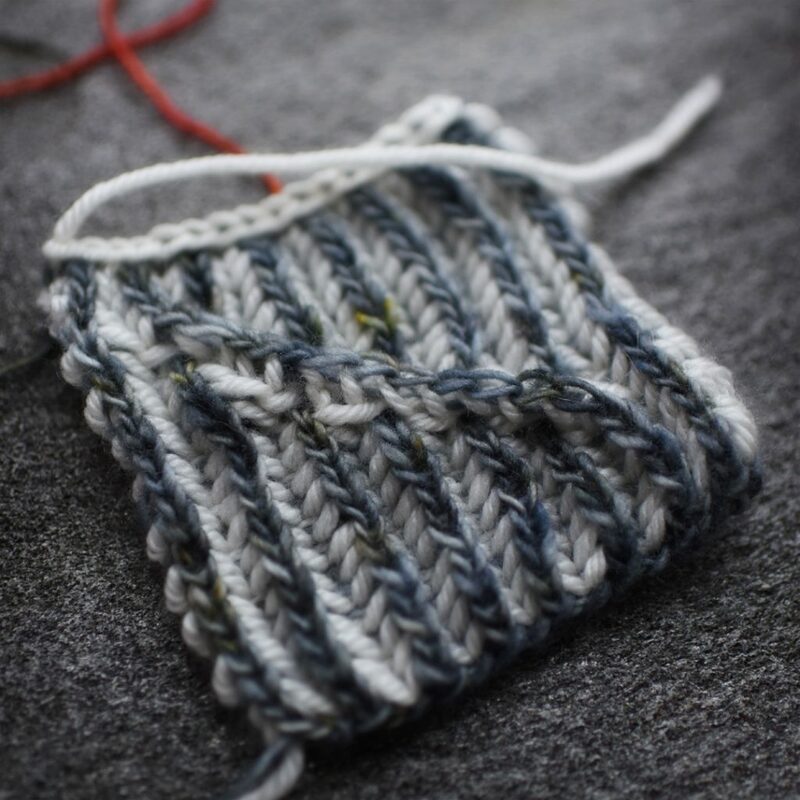 That means the thing I’m knitting now generally won’t be out for quite some time (and there’s a heck of a lot of behind-the-scenes work that has to happen between ‘knitted thing’ and ‘finished pattern,’ the knitting is only about 10% of the process). So absolutely tell me you like what I’m making. Tell me you’re looking forward to knitting it yourself. I love that, and it’s fantastic to know you’re excited. But please don’t tell me that if I don’t have it out next week I’m ruining your life and am some sort of monster. That won’t make it come out any faster, and it makes me feel lousy. Keep everything the same forever and ever and ever: You know how sometimes your favorite shampoo or jeans or ice cream topping disappears from the shelf? Or that book you’ve been meaning to buy goes out of print? Or that show you like goes off netflix? I know it’s no fun, but it happens. And sometimes it happens to knitting books and patterns. Several of my books are out of print, and a few years ago, I took all my earliest patterns down. With the paper books, when they’re gone, they’re gone. With the early patterns, I took them down because I didn’t think they were as polished as what I’m doing now, and I didn’t want folks buying something that wasn’t representative of my current work. Many have come back out, and more are on the calendar, but there are some you just can’t get right now. Most people are great about this. They are excited to see the old patterns in their shiny new versions, and they know they can always track down a used copy of the books if they really want to. But occasionally, someone says “I saw a copy of the book on your shelf, you have to sell me that one, and you have to sell it cheap because it’s used.” And it’s true, I do have a copy or two of my books in my office (both for reference and because I want to have a record of what I’ve made), but I’m really not going to sell them to you. I get to keep a copy of my own books. 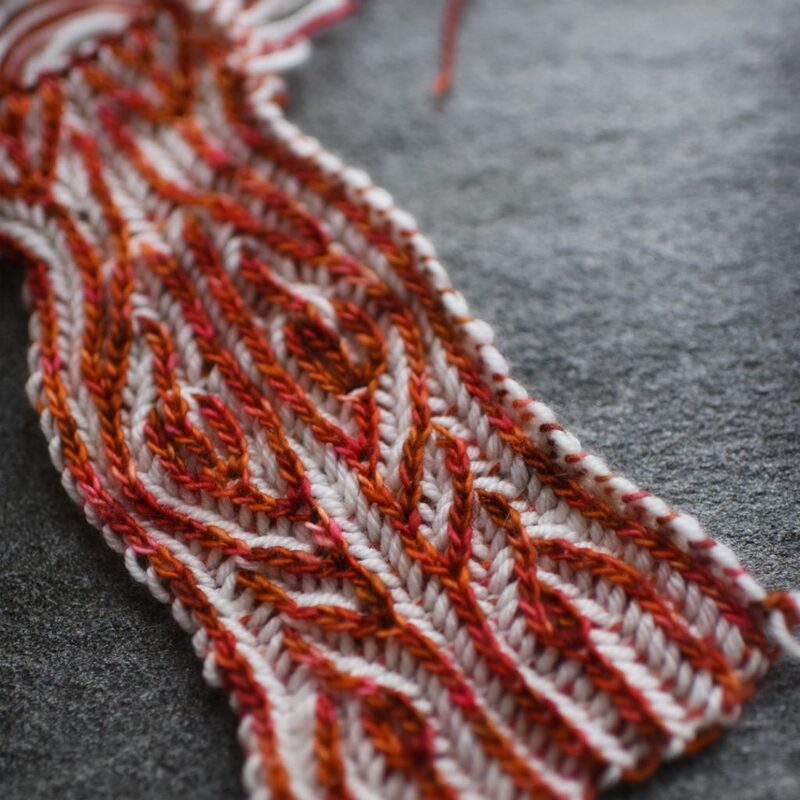 And every now and then, someone sends me a blog post from five years ago in which I announced a new pattern and tells me that I simply must let them buy it now because it was available at some point in the past (sometimes they even suggest it’s illegal of me not to and threaten to sue if I don’t, which is always fun). That’s not how it works. So yes, sometimes things become unavailable (or change format, or change price). Sometimes things come back better than ever, and sometimes they’re gone forever. If you think you’ll kick yourself in a year if you don’t have something, the safest bet is to get it when you see it. But pretty please don’t demand that things stay the same forever or suggest I’m breaking the law if I change how I offer my work. That’s no fun for anyone. So that’s it, that’s the end of my rant. You totally deserve a cookie if you made it this far! And again, I want to emphasize that it is absolutely marvelous if you see something I’ve dreamt up and want to make it for yourself. I love that. I don’t get to do this job if you don’t want to make what I come up with! And I try tremendously hard to hear requests to put something out soon or to bring an old pattern back out in that light. I pretty much always think of them as folks being excited and enthusiastic about my work, which is grand. But there’s a line between being enthusiastic and being unreasonable. Name calling or threatening to sue are firmly on the unreasonable side, and I promise they won’t have the desired effect. Let’s stick to enthusiasm and we’ll all have a much better time! Last week was a bit of a rollercoaster. It started when I learned that someone was selling scans of one of my books on Etsy. I asked Etsy to take the listing down, and they did. Then I asked them to take down the seller’s shop (everything in it was clearly stolen). They didn’t, despite fervent claims that they take copyright issues seriously. So I told you about it and asked you to help me persuade Etsy to fix it. And you did! The seller’s shop was empty come morning. Alas, the story doesn’t end there. The very next day I learned of another seller offering illegal copies of my book. I did the same dance again, if with rather less enthusiasm. But this time, rather than asking you guys for help with a specific problem, I thought I’d see if I could do something a bit more general. I thought I’d put together a little guide for what to do if you find stolen work (either your own or that of a creator you like). I suspect it may come in handy far more often than I’d like. 1. Give yourself a minute to freak out. Someone is misusing your work, you’re allowed to be upset. Throw a little tantrum before you set to work fixing it, I won’t tell. 2. Make a record of the problem. Note what’s being sold or given away, where, and by whom. Remember that things on a website can change quickly, so don’t just bookmark the troublesome page, grab a screenshot of it. 3. Get in touch with someone. Sites will often encourage you to contact the seller or member directly and ask them to take down the offending material. I strongly prefer to get in touch with the site itself. They have greater authority to resolve the issue (and I don’t think you should have to ask someone who has stolen your work to pretty please stop committing a crime). Most big sites have a process for reporting copyright shenanigans. Here are links for Etsy, eBay, Facebook, and Amazon. If you’re having a problem with another site, look for a contact or about page. Be sure to keep copies of any messages you send to them. You’ll usually need to fill out a form or send an email saying your copyright is being violated and giving the details. Be sure to provide all the information they ask for. With big sites, someone almost always responds within 24 hours and takes down the offending material quickly. It’s a bit trickier for smaller (or less scrupulous) sites, but there are things you can do. The idea is that if the website itself won’t help, their hosting company (those are the folks who make it possible for us to see someone’s website) is supposed to step in. Here is an awesome guide for finding and contacting hosting companies (you want steps 3 and 4). I’ve done this before, and it’s generally pretty easy (including those screenshots you took earlier and the correspondence you sent to the website to back up your request is helpful). Chances are excellent that your work will be taken down within a day or two. It doesn’t hurt to ask the site to sanction the person who put up the material in the first place. Most sites say they’ll do something about repeat offenders, but it seems to take a bit of prodding to get them to actually do it. 4. Talk about it! This bit is optional, but I think it’s really helpful. It lets you vent your own frustration, educate others, and encourage big websites to take intellectual property rights seriously. Trying to deal with things like this all on your own can feel very isolating, and it’s amazingly reassuring to tell your community about it and let them support you. I know it helped me. 1. Tell the creator or publisher of the work. See if the author has a webpage or is on Twitter or Facebook and reach out. If you can’t reach the author, try the publisher. Most publishers have legal departments and will be happy to handle this stuff. You are absolutely doing the creator a favor by informing someone of the problem, and I can pretty much promise they appreciate it. 2. Speak up. Consider letting the website know how you feel about them allowing unscrupulous content. Unfortunately, you can’t officially file a report unless you have some ownership over the intellectual property that is being misused. But you can absolutely tell tell websites that you don’t like it when they allow blatant theft and prefer to spend your time and money on sites that respect creators’ rights. That’s especially powerful if you do it in a public forum (think Twitter or Facebook). Your voice counts, and it’s easier than ever for individuals to speak up and be heard. When enough people do, even the biggest companies listen. Is this going to totally solve the problem? Nope. The internet makes it alarmingly easy for folks to steal, and someone is always going to misbehave. But it also makes it easy for you to help if you find someone’s work being misused. Even better, it makes it possible for you to tell companies that you don’t like it when they allow that sort of behavior. Along the way, we can maybe sneak in a message or two about valuing creators’ work and choosing not to take advantage of pirated material. If enough of us pay attention and speak out, it does make a difference.